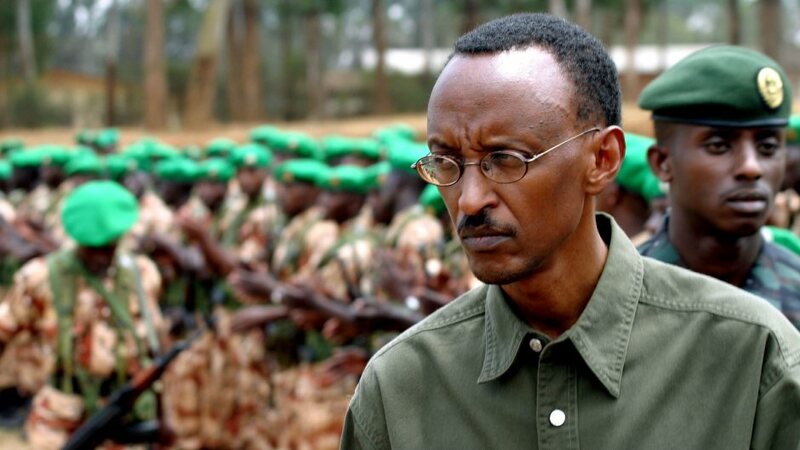 For Western governments, financiers and opinion leaders, Rwandan president Paul Kagame offers a Faustian bargain: Overlook my brutal behavior, and I will offer you a model for economic growth in an African nation. While sacrificing human rights on the altar of economic growth, Kagame is delivering neither democracy nor prosperity. Kagame’s descent into despotism has been documented by respected sources, ranging from Human Rights Watch to the US State Department. In recent years, a growing number of Kagame’s critics have died under mysterious circumstances, even in exile. Opposition political parties and independent newspapers have been suppressed. Many Rwandans have fled the country, while many more have been scared into silence. All the while, Rwanda receives almost a billion dollars annually in foreign aid from the United States, the United Kingdom and their allies, and Kagame continues to receive invitations to prestigious conferences from Davos to the White House. While Kagame’s apologists boast that he has achieved an “economic miracle,” Rwanda’s performance remains mired in mediocrity. Having served as Kagame’s head of policy and strategy, I resigned not only because he was tyrannizing the nation, but also because he asked me to tamper with the truth about the economy. Here are the facts that Kagame can’t falsify: After 14 years of Kagame’s leadership, Rwanda remains one of the smallest economies in East Africa. While Kenya’s annual per capita income is $1,200 and Tanzania’s is $695, Rwanda’s is only $630. Far from moving forward, Rwanda’s economy remains largely informal, with most of the economically active population of 5.5 million still struggling to survive on subsistence agriculture, just like their parents and grandparents before them. Employment in the formal economy is only a little more than 300,000. Rwanda’s private sector is tiny, with tax-paying firms hovering around 113,200, of which only 354 (or 0.3%) are ”large taxpayers” with an annual turnover of $1.4 million. Meanwhile, crony capitalism is on the rise. Crystal Ventures Ltd. (CVL), controlled by the investment arm of Kagame’s ruling party, has become, in its own words, “the biggest investment company in the country.” Its holdings include concrete products, construction, real estate development, telecommunications, agriculture, aviation, security services, printing and publishing, furniture trading, manufacturing, property management and engineering. How does this disappointing economic performance translate into Rwandans’ living standards? On two crucial social indicators—education and health—Rwanda falls short. Because of its small tax base, Rwanda is dependent on foreign assistance. Of the national government’s $2.4 billion budget for 2014/2015, $777 million will come from development aid from overseas. Rwanda has the highest foreign aid per capita in east Africa—$77 per person, compared to Burundi’s $53, Kenya’s $61, Tanzania’s $59 and Uganda’s $46. While foreign governments contribute almost 40% of Rwanda’s budget, foreign direct investment from private sources is small. In 2013, Rwanda received only $110 million in foreign direct investment, compared to $1.8 billion for Tanzania, $1.1 billion for Uganda and $514 million for Kenya. Far from being a powerhouse in the global economy, Rwanda’s trade deficit is growing, having reached $443.1 million during the last quarter of 2013 alone, while its exports are declining. From January through September 2014, exports were valued at $247 million—a 10.5% decline from the same period in 2013. Meanwhile, according to the World Health Organization, the ratio of health workers per 10,000 people in Rwanda is 0.6 for physicians, 6.9 for nurses/midwives, and 0.1 for dentists. This is far below the African average: 2.6 physicians, 12 nurses/midwives and 0.5 dentists per 10,000 people. The failure of Rwanda’s Faustian bargain—trading democracy for development and ending up with neither—should come as no surprise to students of history and human nature. A dictator who can’t be questioned; an elite that dominates the economy; and an atmosphere of anxiety—these are not the formula for economic growth. In Africa as elsewhere, people do their best work in an environment of freedom, not fear. Previous World Refugee Day:”We have a duty to the millions stranded away from home, not just to preserve life, but to safeguard hope” John Kerry.